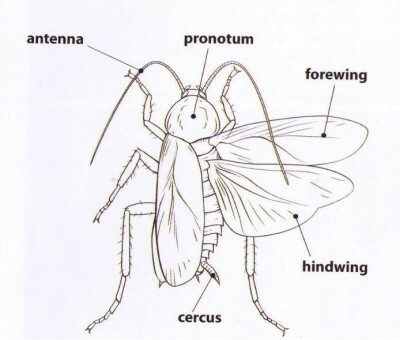 What does a cockroach look like? 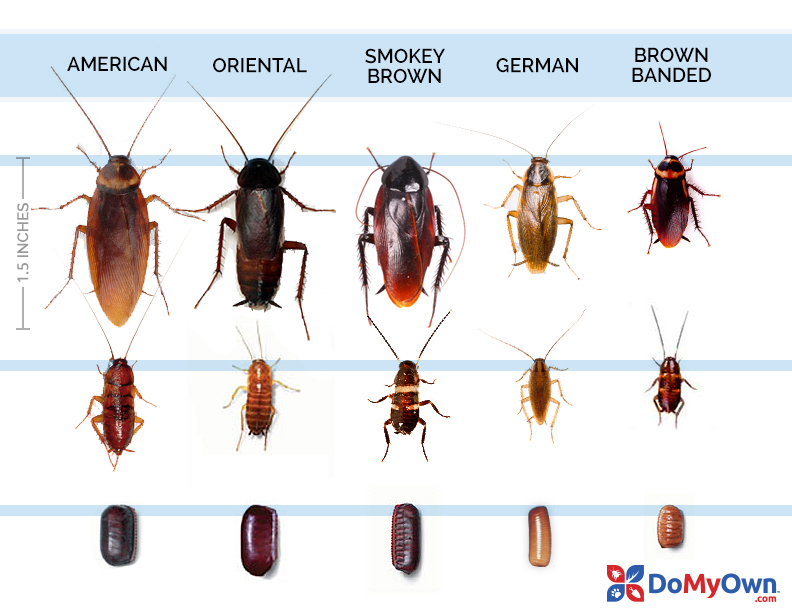 There are five major pest species of roaches in the US and they all differ in characteristics. These species are a nuisance because they infest homes, businesses and other structures and they are able to spread disease and cause other health issues. Most indoor roach infestations are treated in the same manner and with the same roach control products, regardless of the species. It is important to be sure you are dealing with roaches and not a beetle infestation as the treatments are very different for these two pests. Roaches grow in size after they hatch from an oothicae otherwise known as an egg case. Depending on the species, immature roaches can vary from 2mm-5mm. Adult roaches can vary in size from about .25 inch to 2 inches. Knowing the different sizes of the roach during each stage of its life can help you perform a successful cockroach inspection. Roaches can be light tan to dark brown. Some species have have stripes or bands on their backs or heads. 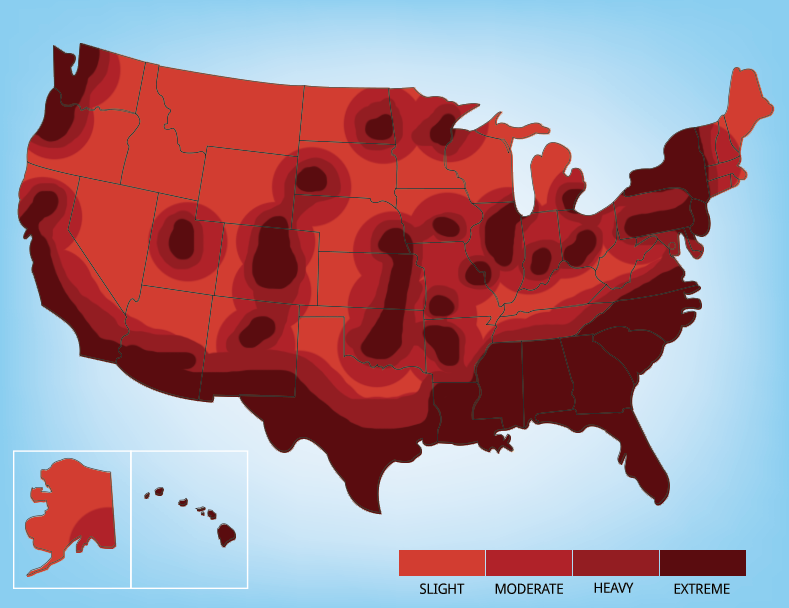 Roaches can be found in every state of the US. Roaches thrive in warm conditions where food is plentiful. 1879 of 1929 people found this article informative and helpful.